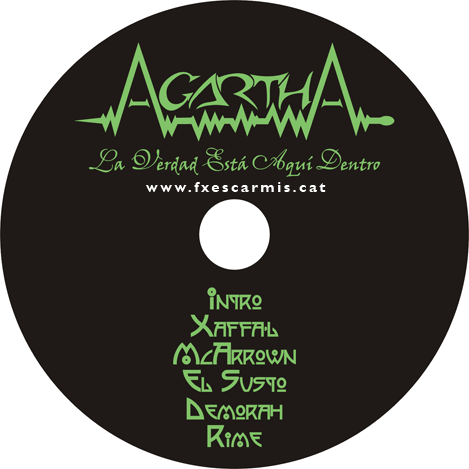 Fallen Angel split in two fantastic bands: La Crujidez Band and Agartha. 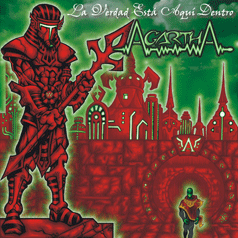 Agartha was formed by Carlos Rubén Sánchez on guitars and Cristina Calvo on keyboards. 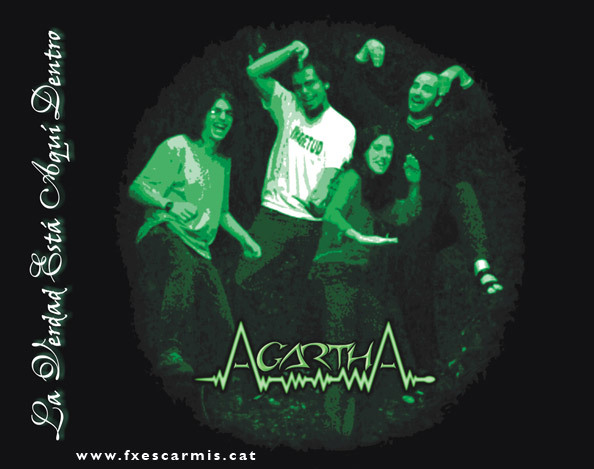 They enrolled producer and drummer Marcel Armengol and bassist Josep ‘Pedra’ Pedragosa, becoming a progressive instrumental metal quartet, with sticky and humorous songs (how can you make humor with a wordless song? I swear they could!) 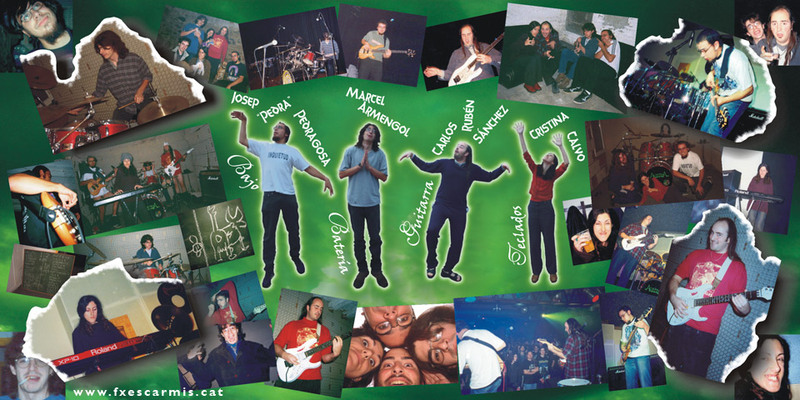 In 2002 they recorded their fantastic demo ‘La Verdad Está Aquí Dentro’ in Pradera Studio (with Marcel as a producer). I also made them the design (this time the whole package) of the CD with illustrations, photo editing, texts... It is a job which I am very proud of, and I learnt a lot doing it. 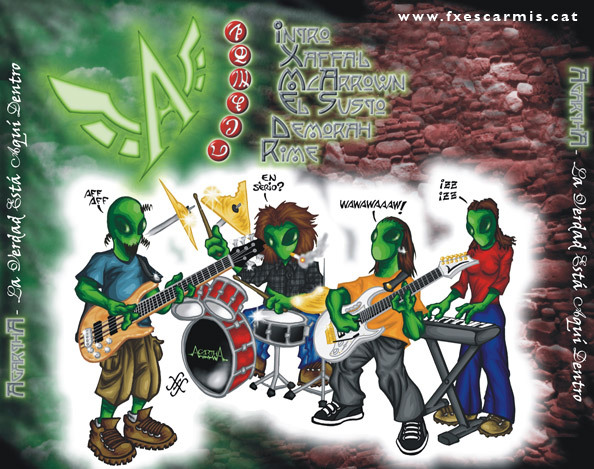 With the cover illustration I got back and updated the design of the aliens in ‘Els Fills d’Anubis’. 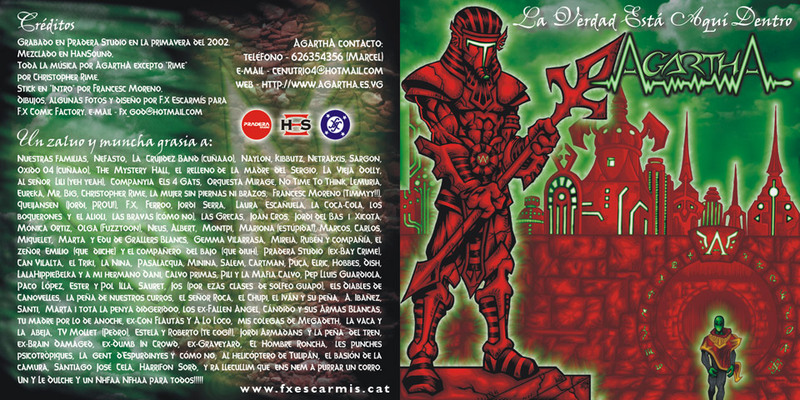 This is the same design I used as the ganothians in 'Farville III – Els Mitjons del Profeta'.